How do I restore driver updates and roll back the original drivers? 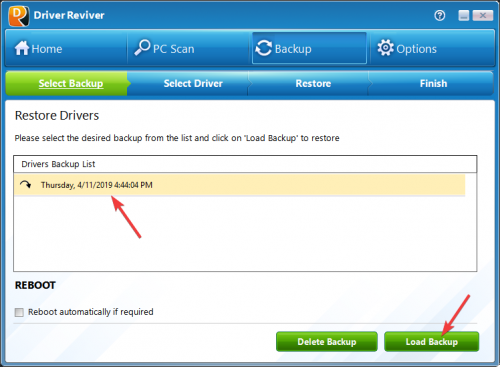 Driver Reviver makes restoring driver updates easy! Click on Load Backup to start the restoration process. Once the restoration is complete, we suggest restarting your computer before you start using it again. 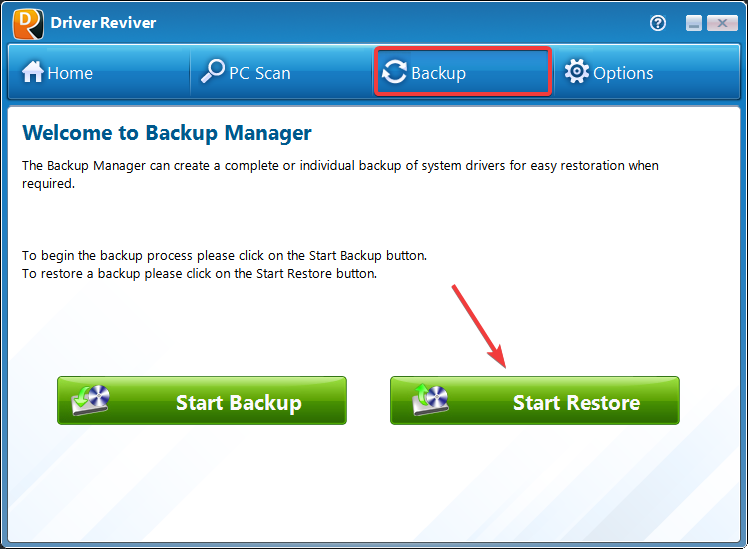 QUICK TIP: If you are unable to log onto Windows normally, you can always restart your computer in the Windows Safe Mode and restore the driver updates. When the computer first starts again, it will generally list some equipment that is installed in your machine, amount of memory, hard drives installed etc. At this point you should gently tap the F8 key repeatedly until you are presented with an Advanced Boot Options menu. I have purchased Driver Reviver but it will not download and install the driver updates? Why am I unable to complete a scan using Driver Reviver?